I love to make and share tutorials about crafting, and a few of these are presented below. Use the tabs below to move between various types of tutorial. If you have any suggestions as to what might make a good tutorial or a technique you’d like more information on, please visit Contact Mimi to get in touch! 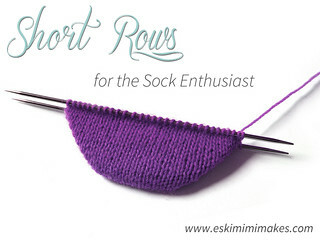 Two in-depth but easily understood articles on when and why short rows are useful for sock heels and toes, and how to make them. 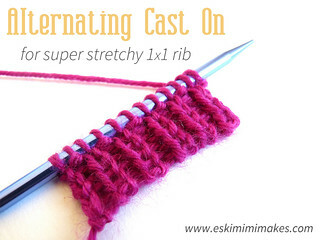 This gorgeous cast on is perfect for socks and anything with a 1×1 ribbed edge. 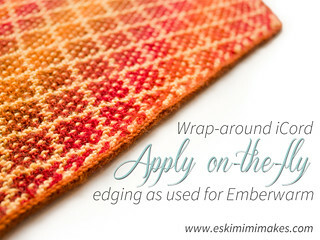 Commonly used in the textiles industry for machine-made knitwear, learn how to create this invisible and most stretchy of edges easily for your hand-knits! 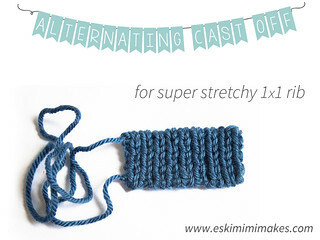 This beautiful cast off perfectly matches the cast on above and is an absolute breeze to complete, plus it’s probably the stretchiest cast off you could ever use. 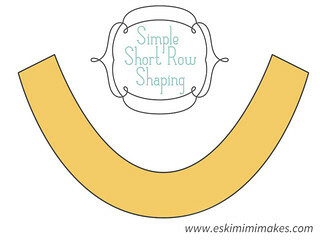 A visual guide to why short rows are fantastic and why they are so often used to bring dimension to your knitting. 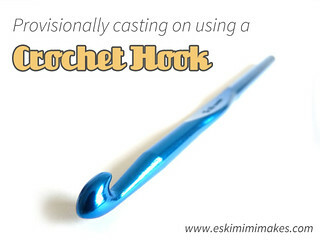 A simple but clear tutorial demonstrating this fantastic provisional cast on technique. 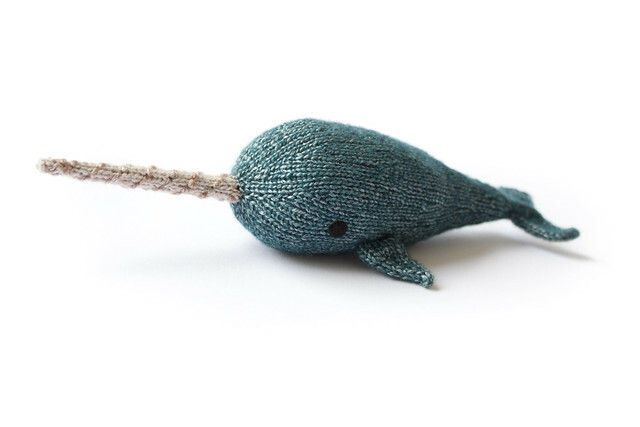 An iCord edging that doesn’t simply sit on the surface of your knitted edge, but wraps fully and beautifully around and can be knit at a rate that keeps your knitting neat and supple. A video link is included. 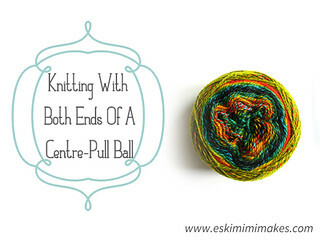 Especially handy for colourwork and stripes with a gradual colour-change yarn such as Zauberball. 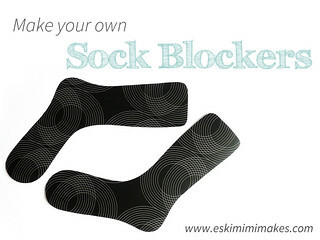 Part One of this tutorial gives detailed and easy-to-follow instructions on how to create a custom-fit sock blocker from your own foot measurements to ensure perfect fitting beautiful socks every time. Part Two explores further options for materials for your blockers: from laminated cardboard to plastic place mats. 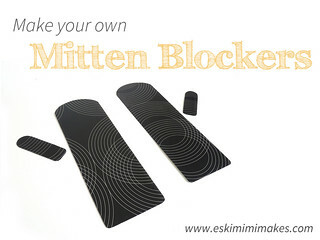 A guide that explains how to make custom-fitting mitten blockers suitable for mittens with both afterthought/peasant thumbs and thumb gores/gussets. 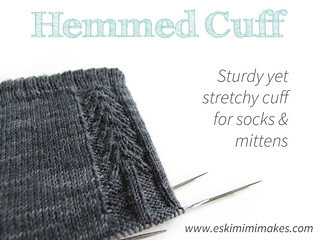 This cuff is lovely and stretchy but more sturdy than the 1×1 stretchy rib cuff, for socks that don’t fall down and mitten cuffs that keep the chills out. 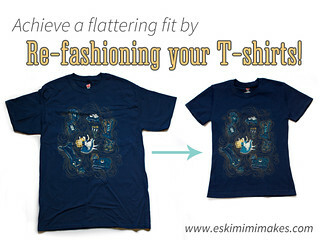 This two-part tutorial gives detailed instruction on how to cut the modified pieces to turn a shapeless t-shirt into a fitted and flattering fit. The second part of the tutorial gives great tips on assembling your perfect tee back together and covers many tips on sewing with jersey fabrics and knits. 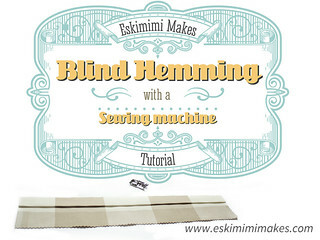 How to achieve a subtle blind hem with your sewing machine. Perfect for finishing trouser hems, skirts and home wares such as curtains. 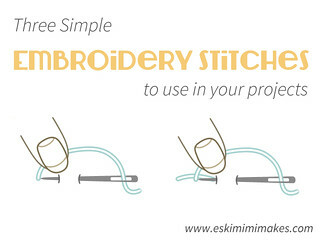 A fantastic introduction to embroidery, this tutorial gives full instructions on how to complete three different stitches regularly used for outline work with hints and tips on stitch varieties. 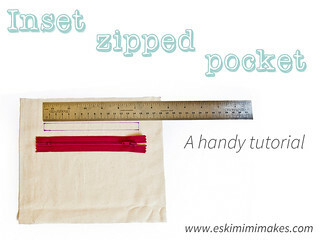 This easy-to-follow tutorial provides a great technique for making an inset pocket: Perfect for inserting a zippered pocket into the lining of a bag, for example, though this technique is so neat you may want to save it for the outside of your projects. 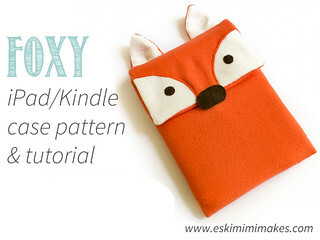 This free downloadable pattern and accompanying tutorial will allow you to make your very own soft and fleecy Fox iPad or Kindle cosy for your favourite device. 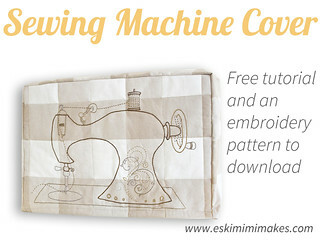 Aimed at beginners, this tutorial provides a free downloadable embroidery template and gives full instructions on how to embroider and quilt the fabric pieces to make your very own custom-fitted sewing machine cover. 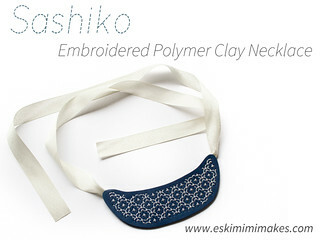 This tutorial includes free printable templates and full instructions to make your own jewellery by combining the traditional art of Sashiko embroidery with a very modern craft material: polymer clay! 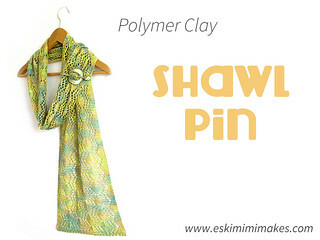 Learn how to make your own shawl pins from polymer clay to perfectly co-ordinate with your hand knits. 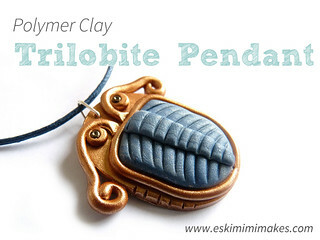 Make your own stylised trilobite pendant with this simple to follow step by step guide. 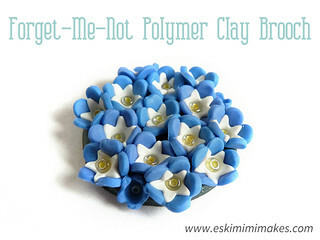 A short tutorial on how to make your own polymr clay brooch of a posy of Forget-Me-Nots. Combined with the Fork PpmPom tutorial make your own polymer clay and wool sheep to create your own key rings and hanging decorations. 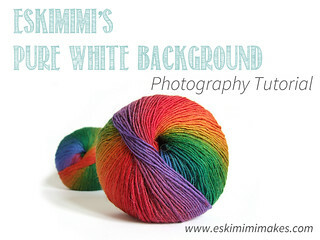 A much-requested three-part tutorial concentrating on how I take pictures for use on this website and on Ravelry. A step-by-step guide on how to achieve a pure white unencumbered background. 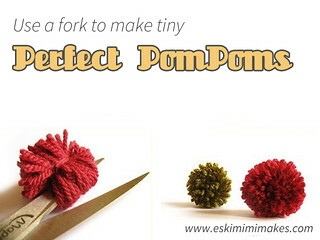 How to quickly and easily make pompoms using only a fork and yarn: no fiddle cardboard circles and tiny scraps of yarn, yo can make pompoms in under 2 minutes using only your cutlery. 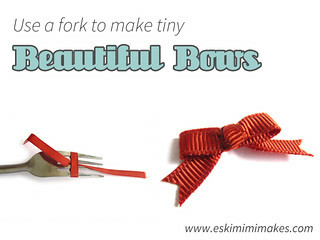 How to quickly and easily make small but perfectly formed bows using only a fork and ribbon. Perfect for making cards and all types of crafting, this technique gives easy, perfectly formed bows each time.